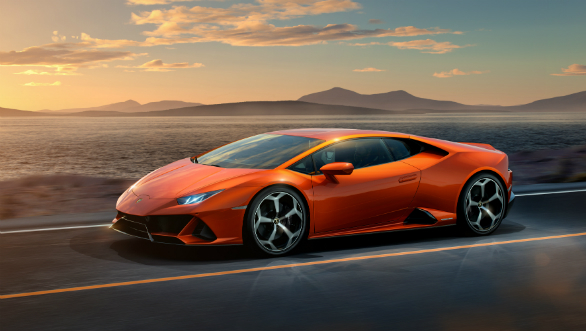 Lamborghini India has finally unveiled the prices of its exotic offering, the Huracan Evo at Rs 3.7Cr, ex-showroom. The Huracan has been on sale for five years now which speaks volumes about its popularity in the global hypercar scene. The 2019 Huracan Evo comes with a fresh set of styling updates that had made the supercar look even more aggressive than before. 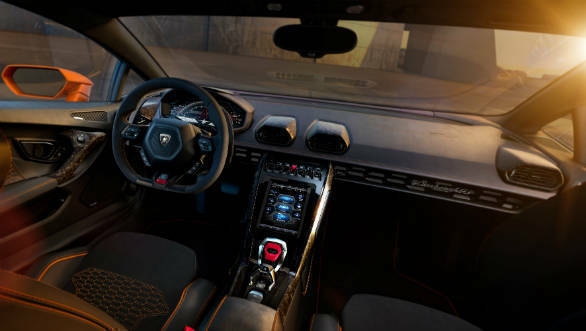 The cabin boasts of a large vertically positioned touchscreen infotainment system, which will be a first for a Lamborghini. 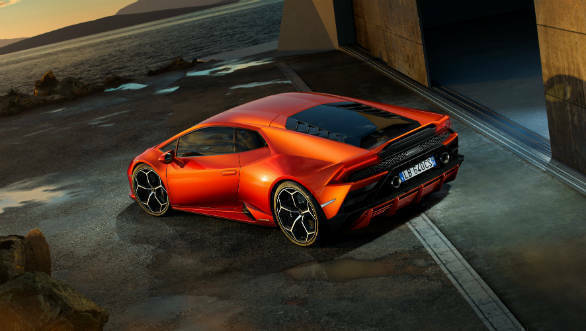 There are mechanical changes as well in the form of all all-wheel drive four-wheel steering and also the Performante sourced 5.2-litre naturally aspirated V10 that can reach 100kmph in 2.9s. The 2019 Lamborghini Evo has a dry weight of 1,422kg which makes it 160kg lighter than its arch-rival, the Porsche 911 Carrera 4S. The Italian supercar comes with a sportier bumper design wherein the y-motifs are evident. Inspired by the Lamborghini Countach - the cult classic of yesteryears, the bonnet gets interesting sculpting in the form of twin ridge lines. Additionally, the Evo also comes with hexagonal intakes on the side and higher positioned twin-exhausts similar to the one seen on the Huracan GT3. With the revised styling and the addition of the aero package, the 2019 Huracan Evo offers seven times better downforce, six times better aerodynamic efficiency and 16 per cent improvement in the engine cooling massflow compared to the first gen offering. Inside, the cabin comes with a vertical 8.4-inch touchscreen infotainment system placed on the central tunnel. This screen offers control to adjust the automatic climate control, seat positioning, drive modes along with an optional dual-camera telemetry system. Powering this exotic machine is a 5.2-litre naturally aspirated petrol that makes 640PS and 600 Nm, which is an increase of around 28PS from the standard Huracan. This iteration of the motor gets titanium intake valves and a lightweight exhaust system. All that power generated by the V10 of a motor is sent to all the wheels with the help of a seven-speed dual clutch automatic transmission. Also, the 2019 Huracan Evo comes with all-wheel steering. Lamborghini claims that the Huracan Evo will reach 200kmph in in 9.0 seconds while braking from 100 kmph to 0 is achieved in 31.9m.